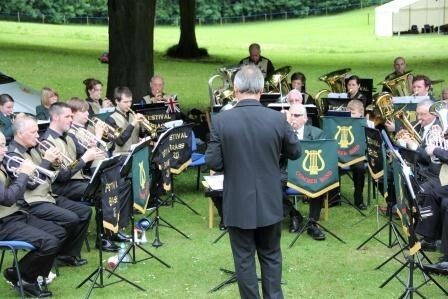 Pictures taken of the Comber Silver Band/Festival Brass combined band performing at the Stormont Estate, Belfast on Wednesday 27th June 2012. 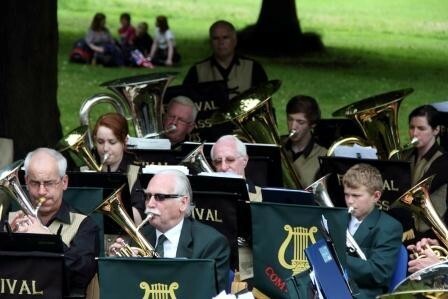 After a last minute request from the Northern Ireland Office Comber Silver band were honoured to have the opportunity to perform for the thousands of the public who came to celebrate The Queen's Diamond Jubille at the Stormont Estate, Belfast. 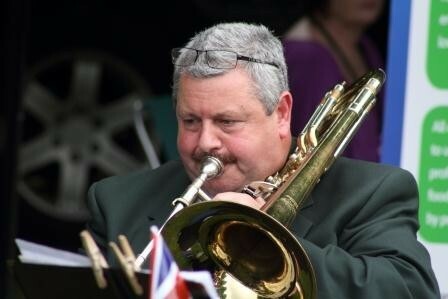 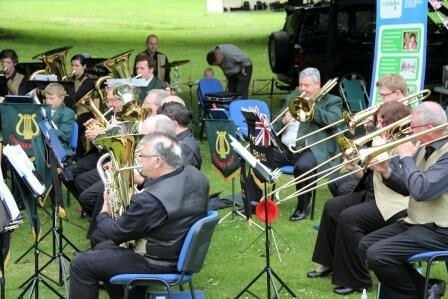 Unfortunately not all the band was available so Comber Silver joined forces with Festival Brass for this event. 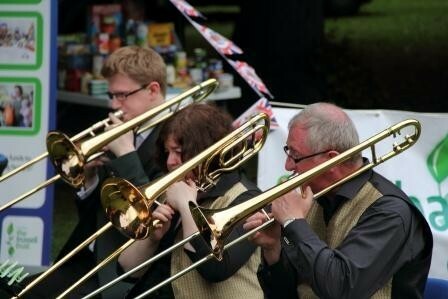 The combined bands were positioned towards the bottom of the Prince of Wales Avenue and played a selection of music throughout the event.